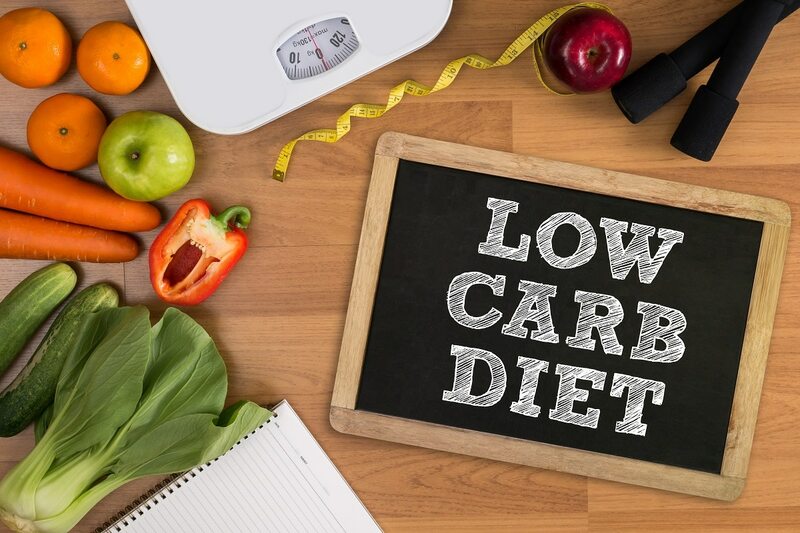 Low-carb diets obviously mean cutting down on carbohydrates from bread, pasta, and sugary foods while boosting the intake of natural fats, vegetables, and foods for an extended period. A low-carb diet can bring your blood sugar levels into a healthy range while helping you lose pounds faster than other diets. Many diabetes patients on low-carb diets have reported that they forgot how it feels like to be hungry or tired after eating. Changing your diet is not that easy, as it inevitably changes your daily routine. Fortunately, we have a comprehensive guide to the most popular low-carb diets and losing weight while following one such diet. Low-carb diets limit the consumption of these macronutrients to 0 – 150 grams per day. Stricter diets lower the amount to 0 – 50 grams, while more liberal eating plans allow you to eat between 100 and 150 grams of carbs daily. Liberal diets work best for weight maintenance and if you exercise regularly and have high energy demands. Strict diets help you lose weight quickly. Highly processed foods and gluten grains. At this point, you might already consider a list of foods you should consume or avoid. You can add to the menu grass-fed chicken and beef, wild-caught fish, eggs, high-fat dairy, nuts and seeds, vegetables such as spinach and broccoli, and fresh fruit like oranges, blueberries, and apples. You can still cook with coconut or olive oil, cod fish liver oil, or butter oil. Be wary that changes in your dietary habits will affect your appetite. So, restrict the quantities of oil, so that you can enjoy healthier and more consistent food. Instead, cook in non-stick cookware that preserves the properties of the ingredients. Also, look for kitchenware made from recycled aluminum like the kitchenware from Scanpan to add an eco-friendly touch to your initiative. You can expand your research on the manufacturer’s eco-friendly fry pans and skillets and see more Scanpan reviews on The Kitchen Advisor website. Atkins. The diet comes in two versions – 20 and 40. The latter is a more liberal version of the former, which means that you will lose fewer pounds (20, instead of 40). You usually eat three servings of healthy fats or three to four servings of the same types of foods. The diet’s duration depends on your weight loss goals. There’s also an eco-version of the menu which contains only vegetarian meals. Dukan. This high-protein diet allows you to eat around 68 high-protein foods and 32 non-starchy vegetables. The four-phase plan was developed for the overweight and lasts depending on the weight loss goals too. Bulletproof. Entrepreneur Dave Asprey developed a diet which involves healthy fats (50-70%), protein (20%) and healthy carbs (fruits and vegetables, around 25% of total calories). Zone. Madonna is one of the celebrities who vouched for this diet as it can also reduce the risk of chronic disease. You eat low-carb veggies, high-protein foods, and fatty foods on every plate. This is the only diet which requires some calorie counting. Women should consume 1,200 calories per day, while men should settle for 1,500 calories per day, as the two sexes have differences in the body’s energy requirements. Ketogenic. The strict diet initially treated children with epilepsy, and it still does, according to the National Institutes of Health. You should consume mostly high-fat foods to force your body into using fats as fuel instead of carbs. The Keto diet is a 2,500-calorie diet which can enhance your mental focus and exercise performance. South Beach. This diet is a very popular diet. You eat high-protein foods to compensate for the low carbs. The diet steers clear of processed meats and also comes with a weight maintenance phase. Paleo. This diet (discover more about the paleo diet here) follows the active principle of eating the foods which were accessible to our cavemen ancestors. You will build lean muscle mass and change your meal permanently. Paleo foods include unprocessed meats, fruit, fats, and vegetables 85% of your time and the other 15% you can enjoy treats such as wine. You limit the number of carbohydrates, instead of just ignoring them. Instead, go for high-quality carbs which provide you with B and C vitamins, potassium, and fiber like those in bananas, whole grains, and vegetables. The daily carbohydrate intake is essential. You should choose your diet based on your activity levels and weight loss goals. The number of calories from carbs you need depends on whether you are an active person, rather than a coach potato that plans to walk 6,000 steps per day. Being on a low-carb diet means forgetting about processed foods. These foods are calorie bombs with no nutrients. Consider quality over quantity when choosing the foods for a low-carb diet. Choose natural ingredients like whole grains, dairy, fruit, and vegetables instead. Dinner: Salmon with butter and veggies, steak and veggies, meatballs with vegetables. Following a low-carb diet is healthy as it can keep junk food at bay. Low carb diets are the product of America growing tired with miracle diets that come with side effects and yo-yo effects. Even though it is healthy, the low-carb diet should not turn into a lifestyle as you might lose more weight than planned. However, once you have set your goals and strategies, your body will show the results.